I closed out my short sterling position on 13 May (see here for original trade analysis and here for close post), following the release of the BoE’s Inflation Report. 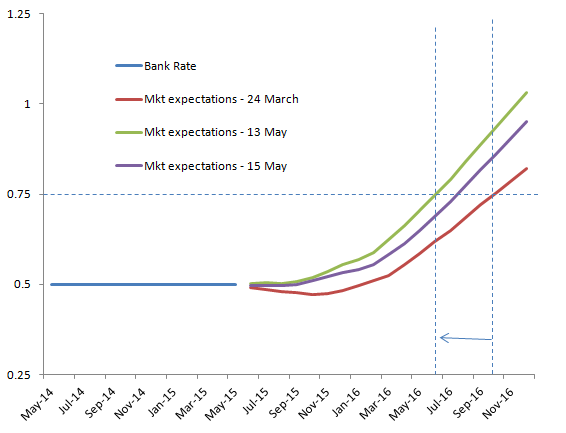 I was concerned that the BoE was taking a more dovish tone and that the risk/reward to the front end was shifting. Having spent some time reviewing the BoE’s comments (here), I now think that not much has changed, so will look to re-engage on a dip. What was it: sell 100K each of L Z5, L H6, L M6. While I closed out well short of my target PnL, the skew was so extreme on this trade, that I still finished with a very health profit.